Prince George will soon be a big brother. 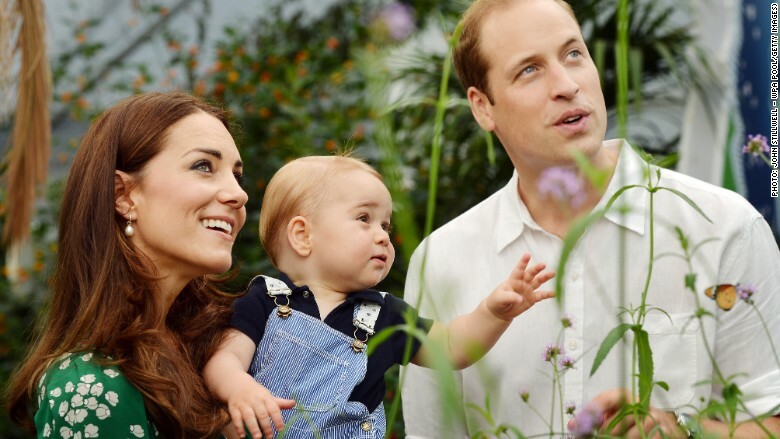 What will Kate and Will call baby number two? Princess Alice has not been born yet and she's already making betting companies nervous. The Duke and Duchess of Cambridge are expecting their second baby to arrive any day now, and Alice has emerged as the unlikely favorite for the baby's name. The odds on Alice have been cut to 6/4 from 32/1 in just a few weeks, said Rupert Adams, a spokesman for William Hill (WIMHY). Some gamblers have staked as much as £2,000. British newspapers have calculated that Princess Alice could cost the betting firms as much as £500,000 ($745,900) in payouts. Alice has overtaken other royal favorites, such as Elizabeth and Charlotte -- both at 6/1. "We're bracing ourselves for an almighty payout, but living in hope that history repeats itself and there's a little boy on the way," said Jessica Bridge, a spokeswoman for Ladbrokes (LDBKF). Gambling firms are now offering odds of 8/15 that Will and Kate's second child will be a girl, and 11/8 for a boy. Kate and William's second baby will be fourth in line to the throne after grandfather Prince Charles, father Prince William and big brother Prince George. As for boys, James -- the name of Kate's younger brother -- is attracting most money, at odds of 8/1. Arthur, the middle name of both Prince Charles and Prince William, is trailing second behind James, with betting companies offering 20/1. Though the chances of the child becoming king are slim, the name Arthur would be appropriately royal. It is most often associated with the heroic (and probably entirely fictional) King Arthur, who, according to legend, gathered his knights at a round table to prevent quarreling. Royal babies tend to have historical names with tradition in the family. Still, that didn't prevent one gambler throwing a £1 stake on the couple naming their second born Elvis at odds of 1000/1. People can also bet on the date of birth, the baby's hair color, and its weight, as well as the identity of its godparents. Although the number of royal baby bets is lower than when Kate gave birth to George, betting companies are hoping interest will pick up this week. Last time, the odds proved to be a reliable indicator of the name. Although it took Will and Kate three days to decide, punters clearly knew better: George was the favorite throughout the run-up to the big day.